Superstition View - Silly Mtn is a 0.69 mile one way hike with 80 feet accumulated elevation gain. Located 15 miles east of Mesa Arizona. The trailhead is car accessible. February and January are the best months to enjoy this hike. This hike involes off trail navigation. Review triplogs, photos and the route to understand the terrain before heading out. Overview: Great view of the U.S. 60 and the golf course at gold canyon. Great for beginners. Also is connected to jack rabbit trail. 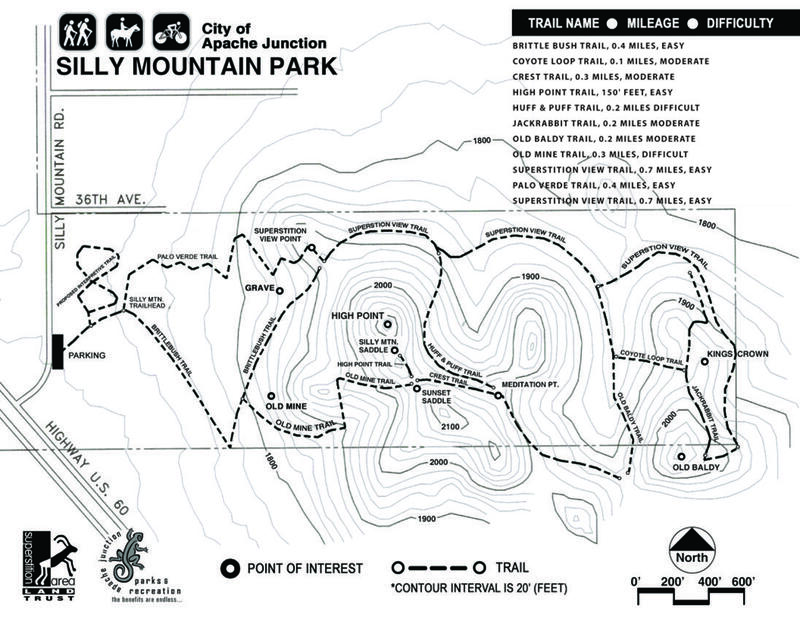 Jack rabbit trail is part of the silly mountain park.